The home was located on North 12th Street. PHOENIX - Phoenix police confirmed Saturday that officers responded to a home on N. 12th Street for a call about a dead animal. 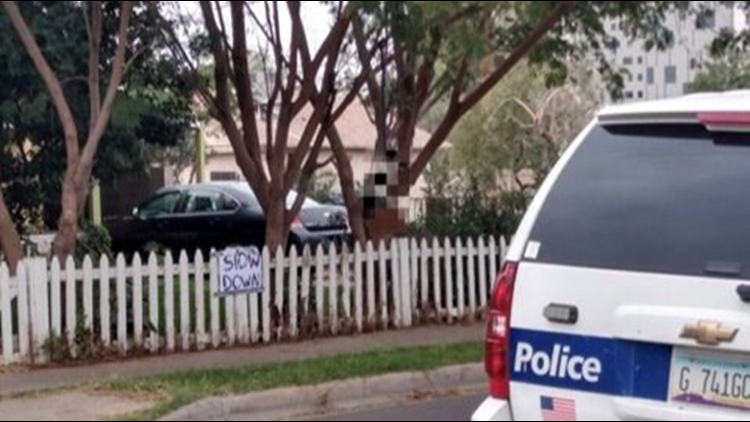 One viewer reached out to 12 News and said a resident hanged a dead cat from a tree next to a sign that said "slow down," trying to deter fast drivers on the road. The cat presumably died after being hit by a vehicle on the road. Photos were sent to 12 News via Chrissy Knight. 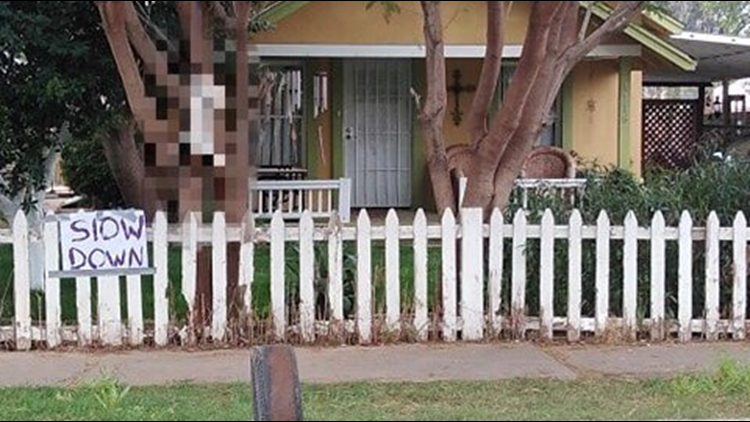 We have blurred the images. Knight said police came and took the cat down. Police said the Arizona Humane Society will be "assuming the disposition of the incident." Knight also said a cardboard sign hung from the dead cat that said it could've been a child. Police did not say if the resident that hanged the cat was charged or cited.